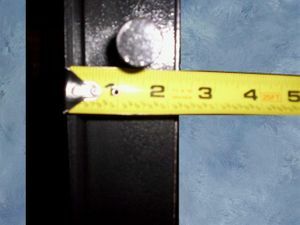 This photo shows brackets on this light vault door. 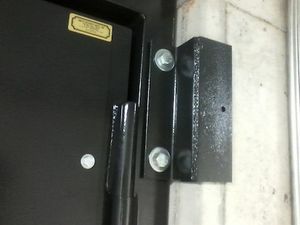 This photo shows more brackets on this light vault door. 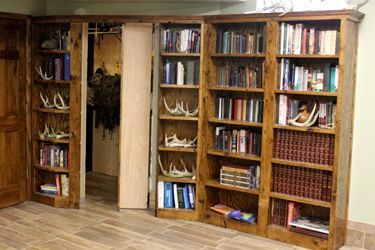 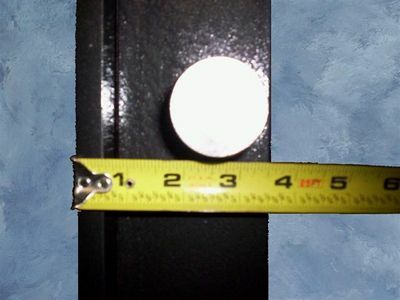 This photo shows 3/16th" door skin on the light vault door. 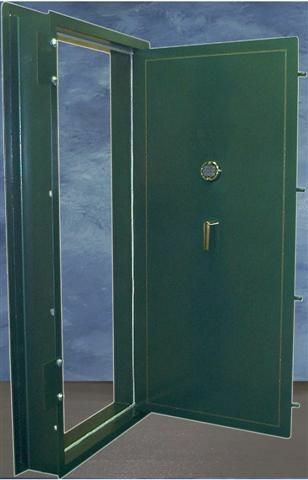 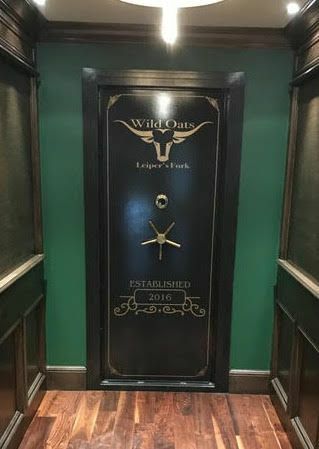 This standard Vault door shows an inside swing in textured green. 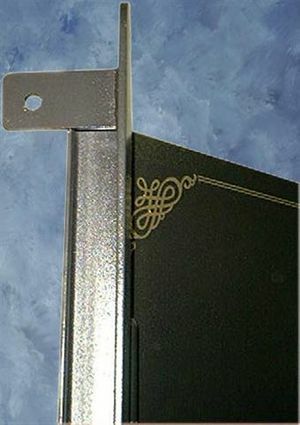 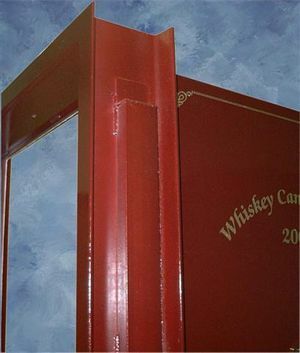 This shows a 1/4" thick Vault door skin, 2 1/4" overall. 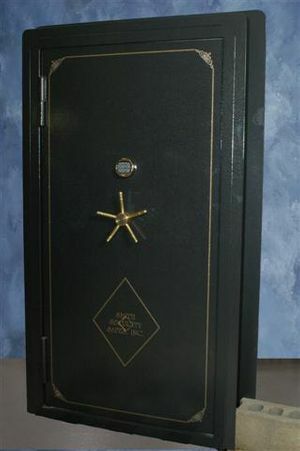 This Vault Door is in textured green and shows the stainless steel plungers digital lock and 5 spoke handle with pin stripes. 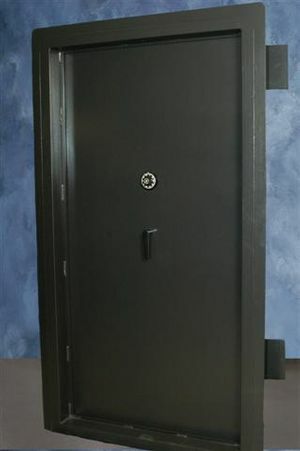 Heavy Vault Door with black paint and silver hardware and pinstripes on a 8" cement black wall. 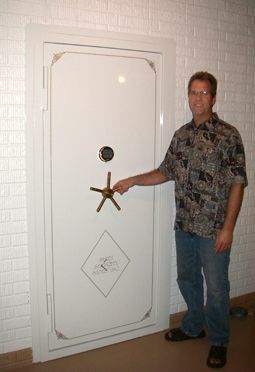 Inside vault room. 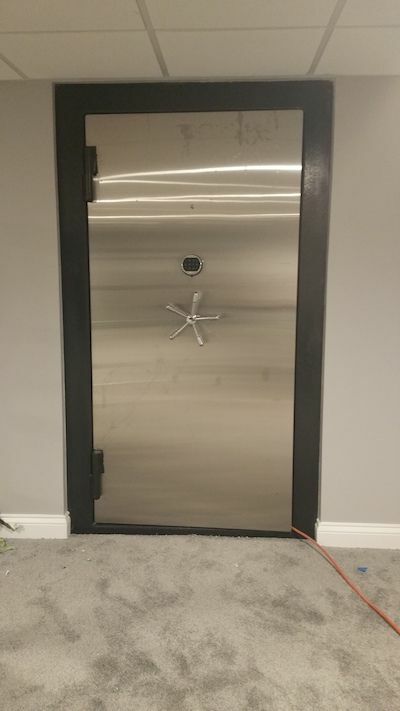 Heavy Vault Door attached to a 10" concrete wall. 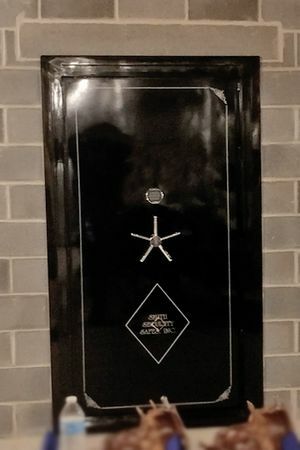 This Vault door shows plunger covers with a personalized name. 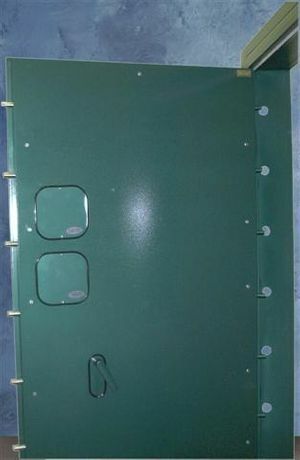 This Vault door shows the inside handle with the cover plates in textured green. 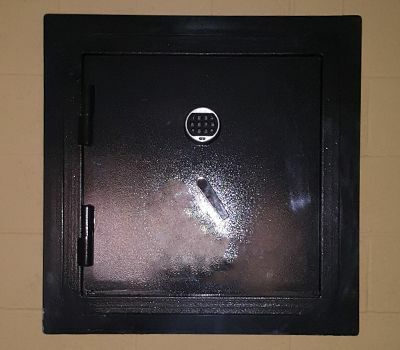 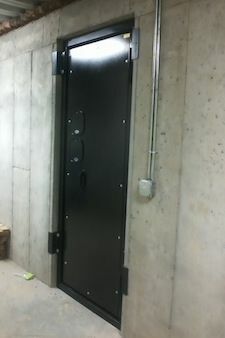 This heavy vault door in a textured black paint with a full inside flange show how a cement block wall would work well. 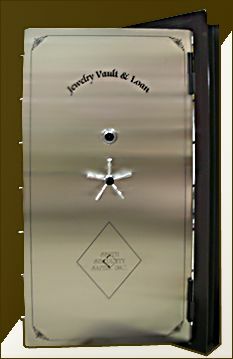 Heavy Vault Door Stainless Steel Laminate with Chrome lock and 5 Spoke Handle. 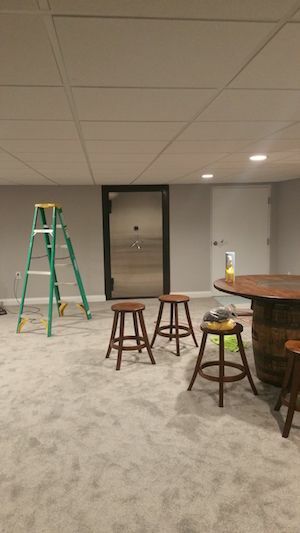 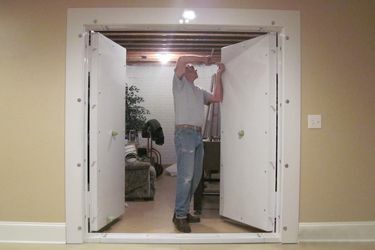 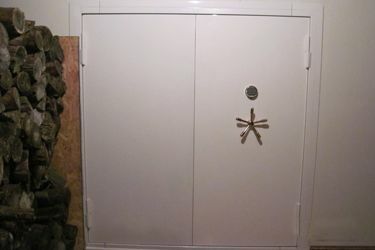 Heavy Vault Door painted white installed. 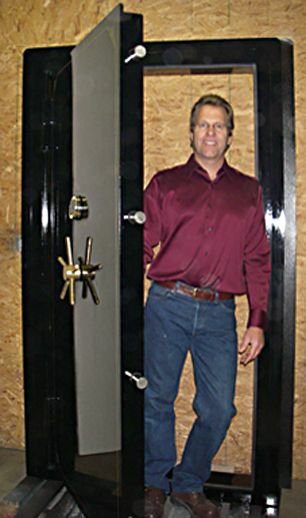 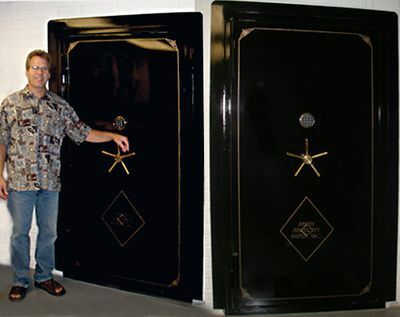 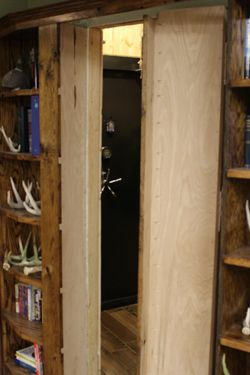 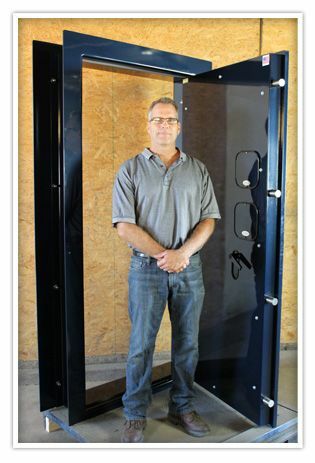 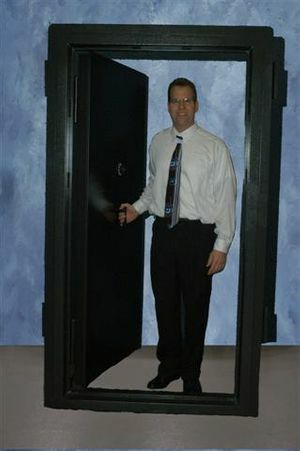 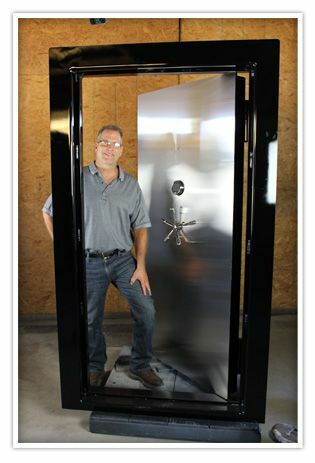 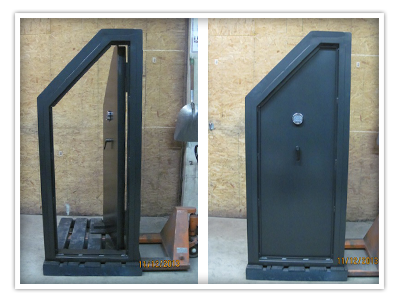 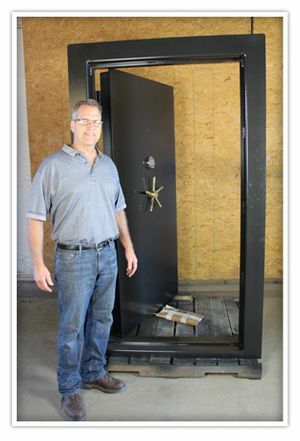 Magnum Vault door painted black. 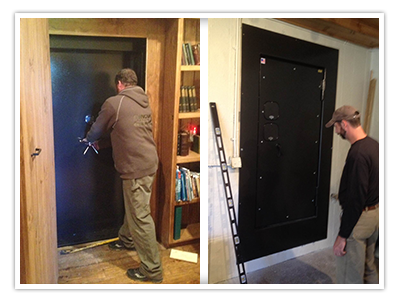 Magnum Vault Door painted black installed. 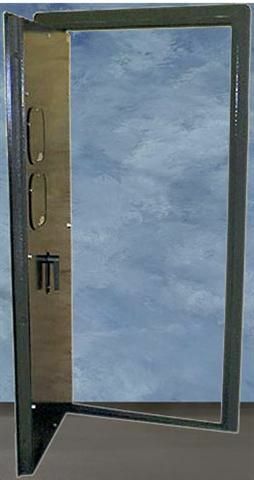 Inswing Magnum Vault door in a gloss white with gold hard ware and pinstripes. 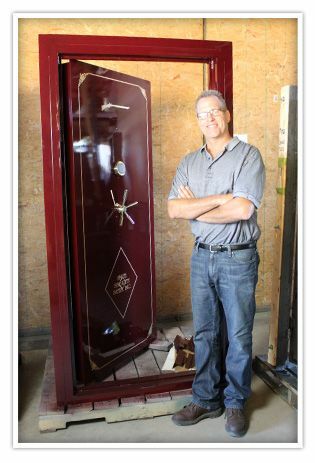 Custom Magnum Extreme with full inside flange painted burgundy. 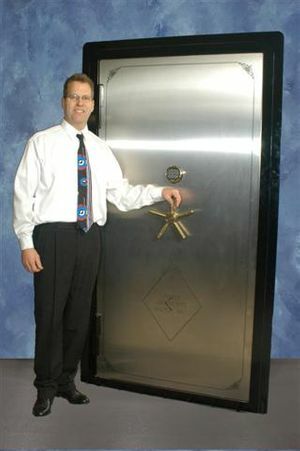 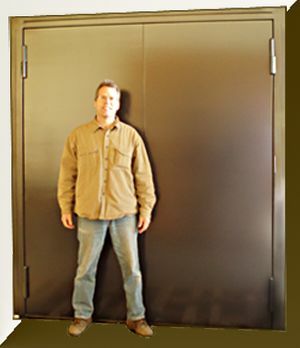 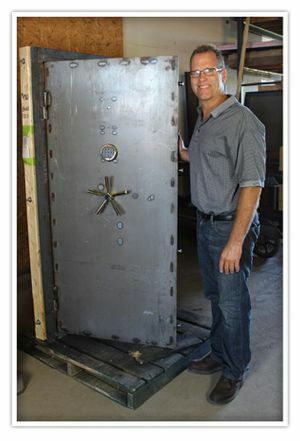 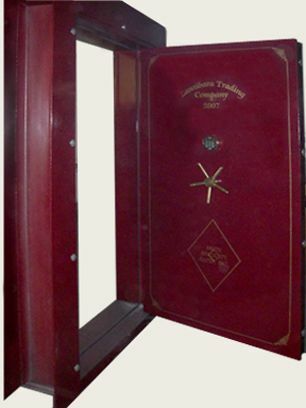 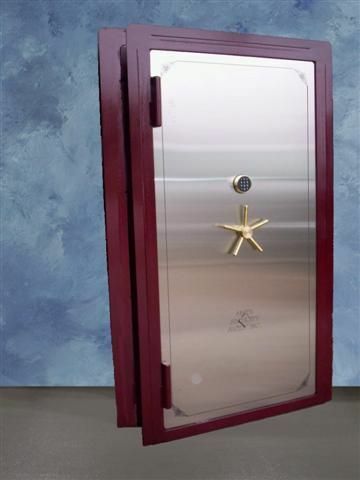 This Vault Door is my Magnum Extreme with Stainless Steel Laminate With a full inside flange. 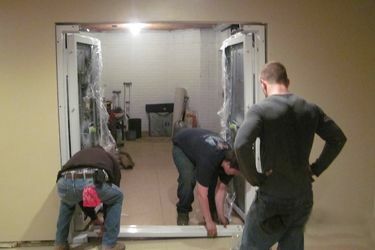 Double Door Vault being brought in. 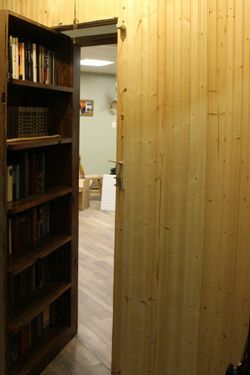 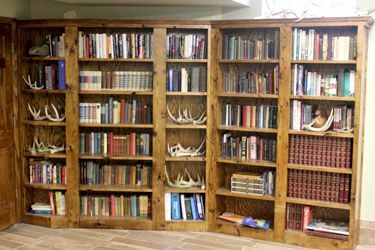 Installed - In-swing, so a wooden door will be on outside. 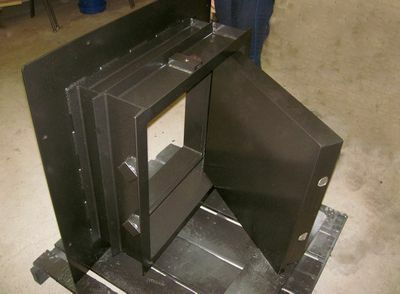 Lining up the full inside flange. 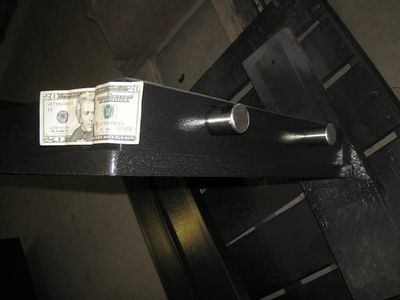 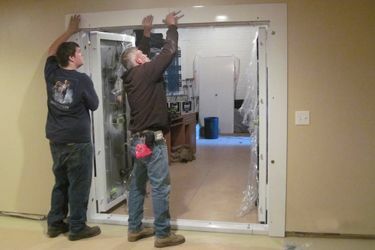 Bolting on one of the inside panels. 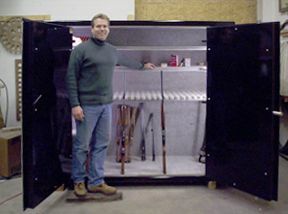 The fished product from the outside.